U.S. spy agencies have detected continuing activity at a missile factory in the suburbs of Pyongyang, the Washington Post reported on Monday. 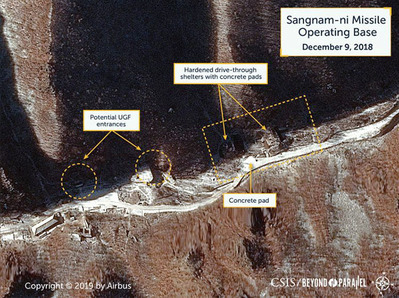 Surveillance satellite photos suggest that the large-scale weapons factory in Sanum-dong in the suburbs of Pyongyang is making one or two liquid-fuel ICBMs, the paper said quoting an anonymous intelligence officer. 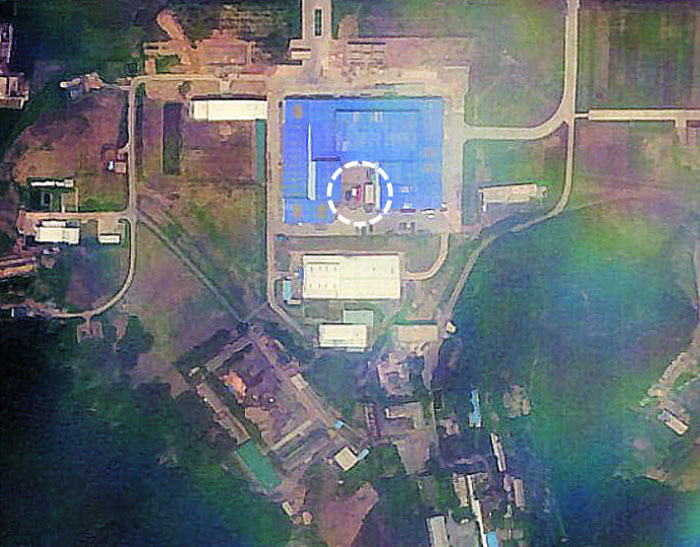 The Sanum missile factory made the Hwasong-15 ICBM that is thought to be capable of reaching the eastern part of the U.S. mainland. The report comes after U.S. Secretary of State Mike Pompeo accused Pyongyang of continuing to produce highly enriched uranium. After the U.S.-North Korea summit in Singapore in June, U.S. President Donald Trump claimed that North Korea is "no longer a nuclear threat." But the Americans have grown more suspicious of Pyongyang's sincerity in recent days. The government here declined to say how much it knows. "Since early this year, there have been movements of personnel and equipment in the Sanum complex," a government source here said. But a senior Cheong Wa Dae official said, "It's not appropriate to talk about intelligence reports. We're keeping a close watch on movements in the North." U.S. spy agencies believe senior North Korean officials "have discussed their intention to deceive Washington about the number of nuclear warheads and missiles they have, as well as the types and number of facilities," according to the paper. "Their strategies include potentially asserting that they have fully denuclearized by declaring and disposing of 20 warheads while retaining dozens more." But Trump was blithe on Monday. "We met, as you know, with Chairman Kim [Jong-un]," he said. "And it -- you haven't had a missile fired off in nine months. We got our prisoners back. So many things have happened. So positive."